AnaBlogs: Blogs from Analog Missions – NASA is associated with at least 15 analog missions throughout the world where participants are put in a situation on Earth that produces affects similar to those experienced in space, both physical and mental. These missions are helping to prepare us for near-future exploration to asteroids, Mars, and the Moon. Volunteer for Simulated Space Mission! Description: HERA is a unique three-story habitat designed to serve as an analog for isolation, confinement, and remote conditions in exploration scenarios. Research: Studies suitable for this analog include behavioral health and performance assessments, communication and autonomy studies, human factors evaluations, and medical capabilities assessments. A Masters Degree in a technical field such as science, engineering or mathematics, or the equivalent experience. Author Monica EdwardsPosted on March 27, 2018 Categories UncategorizedLeave a comment on Volunteer for Simulated Space Mission! 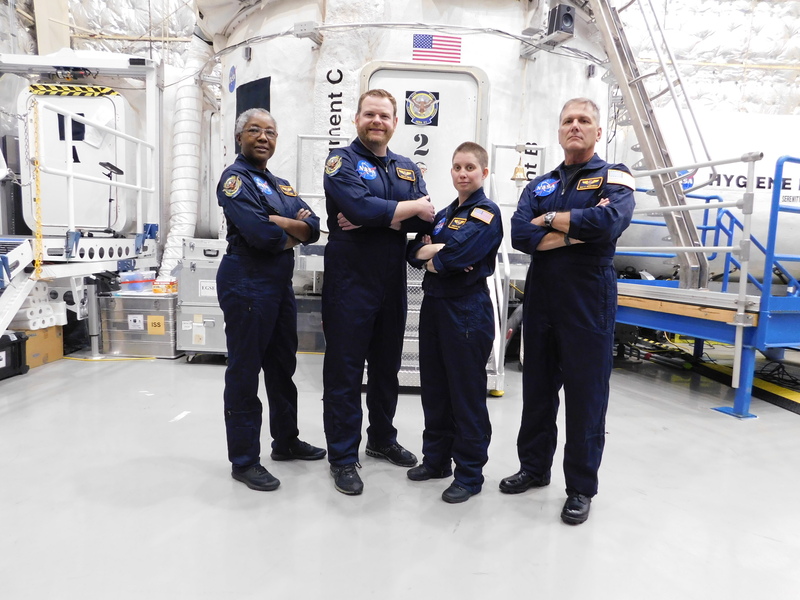 NASA’s HERA XVI Crew. Mission dates are Feb. 3 though March 19, 2018. 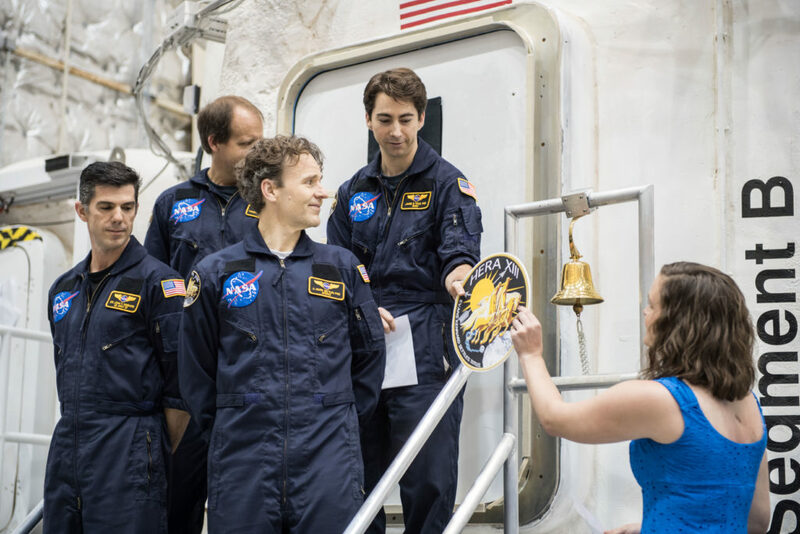 The sixteenth Human Research Exploration Analog (HERA) crew entered the three-story science habitat on Friday evening, Feb. 2, for another 45-day mission. The crew are going on a simulated journey to an asteroid. They will fly their simulated exploration vehicle around the asteroid once they arrive, conducting several site surveys before two of the crew members will participate in a series of virtual reality spacewalks. This mission ends March 19. See photographs and learn more about this HERA Mission on NASA’s Tumblr page HERE. Learn more about HERA and how to apply for future HERA missions HERE . HERA XV underway: The second of four 45-day missions ends on Dec. 11. HERA XIV ended early due to Hurricane Harvey. 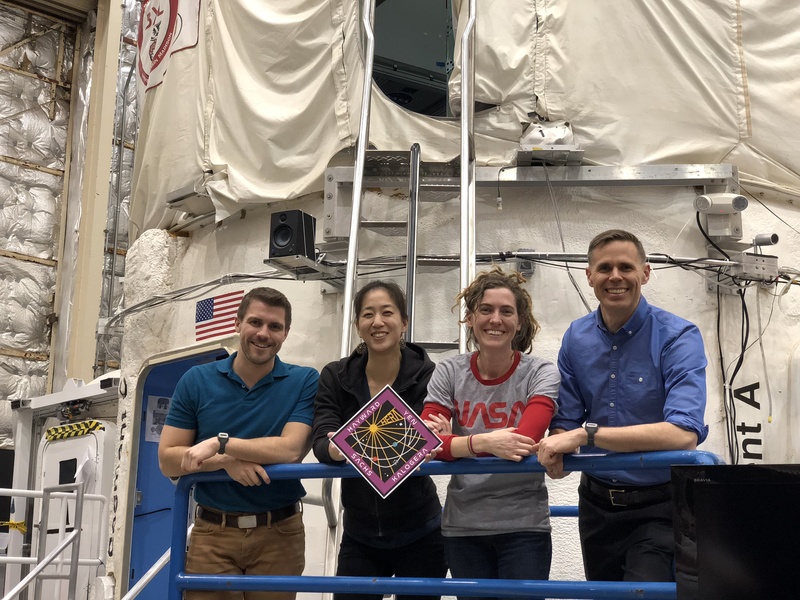 Undaunted, the flight analogs team pushed forward with HERA XV, the third 45-day Human Exploration Research Analog (HERA) mission. It began on Saturday, October 28 in Building 220, with an ingress the evening before. This mission will focus on the effects of sleep deprivation and ways to mitigate these effects, along with several other mission objectives. For details please visit the research tile of the HERA website. Check back to this site for crew photos and to follow the mission clock. HERA XV will end on Dec. 11 and will be followed by two more missions for this campaign. This is one more mission than was planned for HERA’s Campaign 4. Author Monica EdwardsPosted on November 29, 2017 November 30, 2017 Categories UncategorizedLeave a comment on HERA XV underway: The second of four 45-day missions ends on Dec. 11. 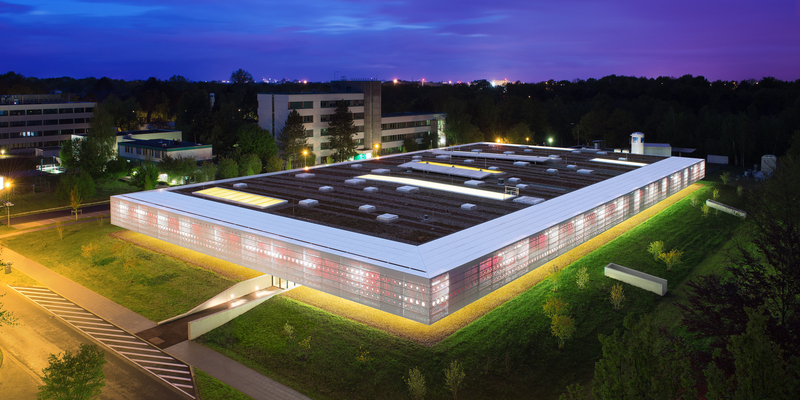 Twelve volunteers will arrive this week at the German Space Agency’s (DLR) Institute of Aerospace Medicine’s :envihab facility to lie in bed for a month in the name of science. NASA’s Human Research Program, in partnership with DLR, is sponsoring investigations in this study to observe and analyze the effects of fluid pressure on astronauts’ eyes and optic nerves. 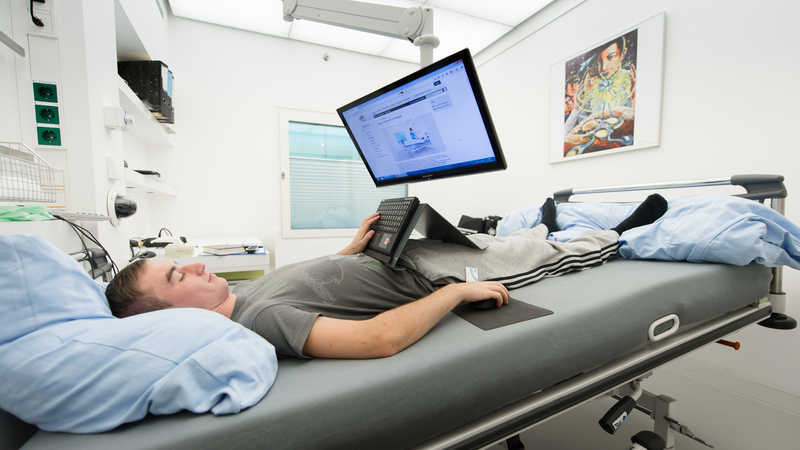 German Space Agency’s (DLR) Institute of Aerospace Medicine’s :envihab facility in Cologne, Germany where a bed rest study, co-sponsored by NASA’s Human Research Program, is taking place in October and November 2017. 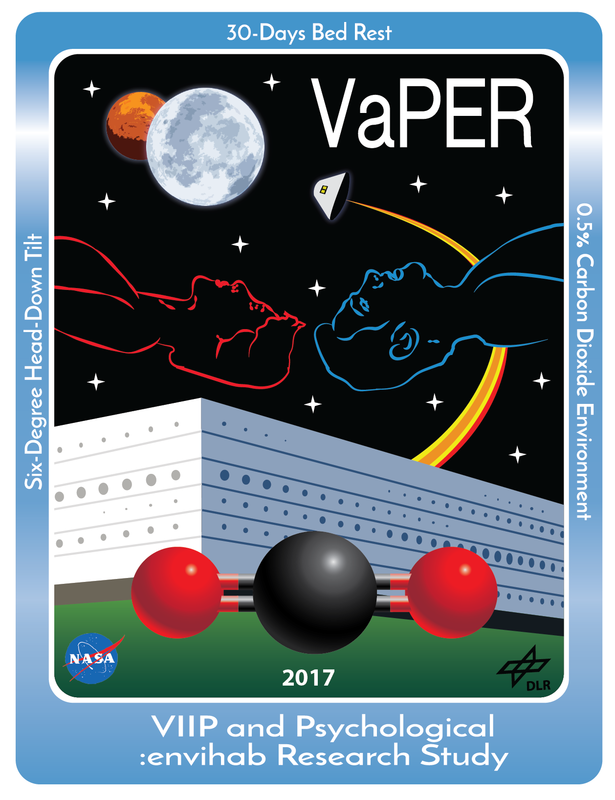 This study, known as VaPER (VIIP and Psychological :envihab Research), is part of NASA’s Flight Analogs Program. An analog environment is a situation on Earth that produces effects on the body similar to those experienced in space, both physical, mental and emotional. These studies are expected to help advance the understanding of how to keep humans safe as we move from lower-Earth orbit missions into deep space exploration. Participants may keep their cell phones or use computers during the bedrest study, but they must maintain a six-degree head-down tilt at all times. The participants in VaPER will spend 30 days in bed with a six-degree head-down tilt and breathe air with 0.5% carbon dioxide. By comparison, carbon dioxide makes up about 0.04% of the air we breathe on Earth. On the International Space Station, and many other space vehicles, carbon dioxide levels are higher than on Earth, due, in part, to the enclosed environment in which the astronauts live and work. Constant forced air circulation throughout the station ensures that pockets of CO2 that do form are quickly dispersed, and that the crew members always have plenty of clean air to breathe. The head-down tilt in the VaPER study will simulate the weightless nature of space, where the fluids in your body shift toward your head. These conditions will mimic the environment thought to cause vision problems experienced by some astronauts. Official patch of the VaPER bedrest study, a NASA co-sponsored investigations to observe and analyze the effects of fluid pressure on astronauts’ eyes and optic nerves. Bed rest studies offer scientists ways to see how the body adapts to weightlessness. Participants must live, eat, and even shower in the head-down position – and in this case – in the carbon dioxide environment. This causes their bodies to adapt as if they were in space. They are continuously monitored to understand how their bodies change and why. Results allow countermeasures to be devised that will help astronauts on space missions, as well as bed-ridden people on Earth. While very structured, the participants’ days may not be as boring as it would seem. Participants are encouraged to set a goal such as learning a new language or taking a class online. Additionally, daily routines, such as showering, take a lot of time when you cannot stand up to do them. There is continuous data collection including several MRIs to observe potential changes in either brain or eye structures. Blood pressure, heart rate, nutrient absorption, energy expenditure, bone mass and even the participants’ mood will also be monitored. Diet is strictly controlled giving participants little choice as to what or when they eat. Participants get to keep their phones to maintain contact with family and friends, although visitors to the facility will not be allowed. Before humans will go to Mars, NASA has practice missions on Earth. The SIRIUS missions are the latest spaceflight analogs NASA is utilizing to help us understand the risks of travel further into the solar system. This ground-based analog is a complement to human research being conducted on the International Space Station, such as Scott Kelly’s One-Year Mission. These missions are paving the way to learn how the human body reacts in unique environments. An analog environment is a situation on Earth that produces effects on the body similar to those experienced in space, physically, mentally and emotionally. These studies are expected to help advance human spaceflight from lower-Earth orbit missions into deep space exploration. NASA is associated with at least 15 analog environments throughout the world. The SIRIUS analog takes place at the Institute for Bio-Medical Problems (IBMP) in Russia. Other NASA-associated analogs are in Germany, Canada, Antarctica, and at sites in the United States. The SIRIUS (Scientific International Research In a Unique terrestrial Station) missions are the first time NASA’s Human Research Program (HRP) partners with Russia’s IBMP Ground-based Experimental Complex (NEK) to conduct a series of analog missions. The first of these missions is SIRIUS-17, named because of its 17-day duration and it will take place in 2017. The mission is to begin on Nov. 7. Elevated view of the IBMP facility where the SIRIUS-17 two-week analog mission begins Nov. 7, 2017. 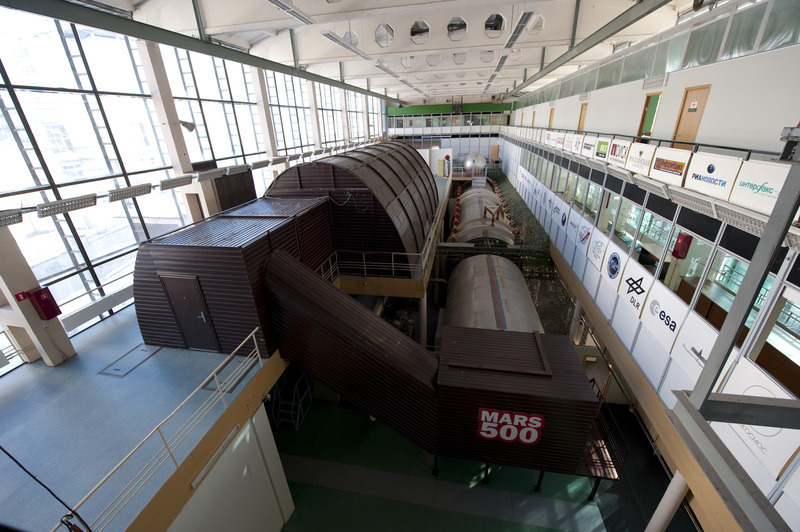 Participants will spend 17 days in a simulated space mission environment. The goal is for NASA to work with the IBMP to conduct at least three follow-on missions: a four-month mission in 2018, an eight-month mission in 2019, and a 12-month mission in 2020. SIRIUS-17 will have six human participants who will be isolated and confined in a mock-spacecraft habitat for the mission’s duration. During the mission, they will be performing a suite of scientific experiments. Training for the crew began the week of Oct. 9. One of the reason NASA chose the Russian facility is that it is a dedicated facility. This means that during the mission, its purpose is to execute the simulated space missions and research activities targeted for an isolation environment, according to Spence. “Also, they have done successful long-duration isolation missions at the IBMP facility in the past, even up to 520 days. They have demonstrated the ability to do the type of missions we are planning to work up to,” she said. More than 40 scientific experiments have been selected for SIRIUS-17, which will place significant demands on crew time. HRP personnel developed a unified science requirements document, which helps in the development of the mission timeline, and maximizes the science data capture. SUBJECT: Official crew photo for HERA Campaign 4 Mission 2. The second 45-day Human Exploration Research Analog (HERA) mission began on Saturday, Aug. 5 in Building 220, with an ingress the evening before. The four-member crew are Richard Addante, Paul Haugen, Shelley Cazares and Reinhold Povilaitis. HERA 14 will end on Sept. 18 and will be followed by two more missions for this campaign. After 45 days in NASA’s Human Exploration Research Analog (HERA), the four-man crew can hardly hold their eyes open. This mission was the first of its kind to last 45 days, as well as incorporate sleep reduction for research purposes. “The sleep deprivation was really difficult,” said, James Titus, HERA crew member. “It really hindered our normalcy. We are used to working and living our lives at a higher level. During this mission the sleep reduction, the no-nap rule and limited caffeine – went hand in hand to really slow us down,” he said. HERA is one of several ground-based analogs used by NASA’s Human Research Program (HRP) to research ways to help astronauts move from lower-Earth orbit to deep space explorations. A spaceflight analog is a situation on Earth that produces physical and mental effects on the body similar to those experienced in space. Participants are volunteers that must pass a physical and psychological assessment to qualify. During this thirteenth HERA mission, crew members went through many of the motions of a real deep space mission without ever actually leaving the Johnson Space Center. This was the fourth in a series of studies, called campaigns, with progressively longer simulated mission lengths. 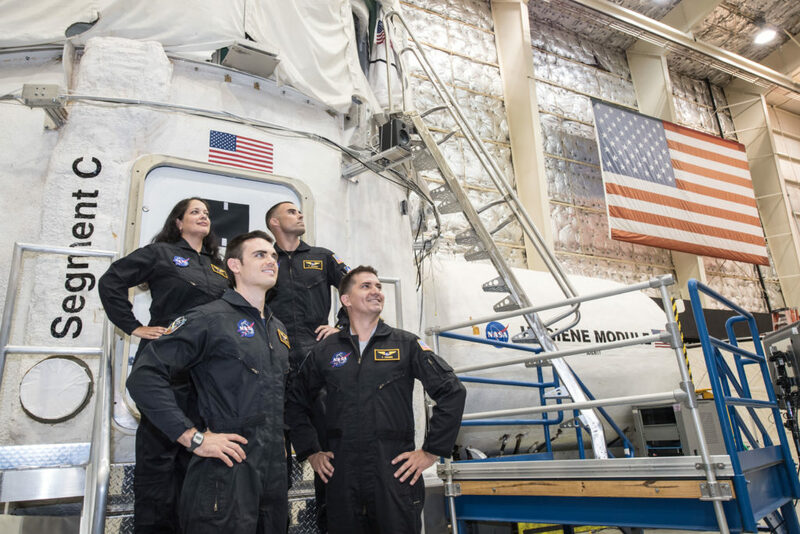 In this campaign, this was the first of four 45-day simulated missions. Previous campaigns studied seven-day, 14-day, and 30-day missions. Longer mission lengths allow for more research studies and more data points relevant to longer duration spaceflight missions. Several research studies utilize a limited sleep protocol for the four missions of Campaign 4. During Mission 1, crewmembers were allowed to sleep five hours per night, five days per week with a recovery period of two days where they could sleep eight hours each night. No naps and limited caffeine are included in this protocol. This practice allows researchers to test the use of habitat lighting as a method of combating crewmember fatigue. It also allows for the evaluation of the usability of bio-mathematical models to predict crewmember fatigue. Team cohesion, performance, and interpersonal relationships are also tested under these conditions. Despite the no siesta rule, the crew took their mission tasks seriously. As with past crews, they particularly enjoyed the extravehicular activity (EVA) on an asteroid conducted with virtual reality technology. “It was fun learning to maneuver in three dimensions, and going through the decompression protocol just like a real astronaut would. It was fascinating to me,” said Timothy Evans, HERA crew member. This was a rather competitive group. One of their tasks was to use the robotic arm to grab a transport vehicle while dealing with sleep deprivation. They had 12 chances to do so and were given a score on their efforts. “The score was very important to all of us. We’d strive to get better. The ROBoT [Robotic On-Board Trainer] and cognition had a level of inter-competiveness with us,” said John Kennard, HERA crew member. When asked their favorite thing to do while on the mission, there was a consensus: Sleep. They also enjoyed playing board games and watching movies together while not working on mission tasks. Upon splashdown at the end of the simulated mission, they planned to call their families and grab some greasy, salty fast food. But soon afterward, they all planned on catching some Zs! Mission 2 of Campaign 4 will begin on Aug. 5. The Test Subject Screening group is accepting curriculum vitaes (CV) for healthy, non-smoking volunteers, ages 30 to 55 for future missions. Volunteers will be compensated and must pass a physical and psychological assessment to qualify. Volunteers wishing to become test subjects should e-mail their CV to jsc-hera@mail.nasa.gov or call 281-212-1492. Author Monica EdwardsPosted on August 14, 2017 August 15, 2017 Categories UncategorizedLeave a comment on Volunteer for Simulated Space Mission! Author Monica EdwardsPosted on August 14, 2017 August 15, 2017 Categories Analogs, Hera, UncategorizedLeave a comment on Volunteer for a Space Simulation!